Enhancing your WordPress website’s performance, speed, and usability is not an easy job. Luckily, there are many plugins available that can help with this task. But which plugins will actually make a difference to your website? If you want a website that is one of a kind then you should consider using a page builder. An advanced page builder will give you total control over your WordPress website. Create custom designs, alter the page layouts, and arrange the aesthetics to your exact specifications. Page builders are ideal for those wanting their website to stand out from the competition and make an impact. Builder Beaver is a popular and easy to use WordPress page builder plugin. This premium solution will give you the ability to customize every aspect of your posts and pages. It also provides top quality templates so you can create beautiful and stylish pages with just a few clicks of a button. Beaver Builder is, without a doubt, an essential plugin for enhancing your website’s design and usability. Lead generation should be an aim for (almost) all online websites and businesses. Whether you are looking to grow your email list, increase your social followers, or connect with potential clients, a successful lead generation plugin can help you achieve your goals. Thrive Leads is an impressive lead generation tool that can help to grow your business. Add beautiful pop-ups to your website, customized specifically to help you achieve your lead generation objectives. Control the pop-ups behavior and timing, and position the pop-ups at appropriate locations on your site to optimize conversions. Another crucial plugin, Thrive Leads can help enhance your website’s results and help it convert against its goals. An ‘About’ page is one of the most important pages on a successful website. It is where your potential clients, regular visitors, and customers can contact you about your business. So a stylish, user-friendly contact form is a must. Ninja Forms is a freemium forms builder. This powerful and easy to use solution is free to download with premium add-ons for those looking for advanced functionality. Beautiful forms can be crafted using just drag and drop, no coding necessary. And form fields can be modified to suit your site’s needs. This is one of the best contact form plugins available, enabling you to connect with your audience. Adding social media buttons to your WordPress website is a great way to increase your social media fan base and get your content shared with a wider audience. Social media is an extremely successful way to keep in contact with your target audience. It is also an ideal platform to promote content, sell products, and reach potential new customers. Monarch from Elegant Themes is a premium WordPress plugin that will enable you to add stylish and effective social media buttons to your website. Buttons can be displayed in five different locations, including above or below content, on images and videos, within an automatic pop-up of floating sidebar. Using a related posts plugin, that displays articles related to the one a visitor is reading, can be a fruitful way to keep readers on your website. By showing visitors similar content to that they are interested in, and giving them direct access to it, ‘time on site’ will increase across the board. And the more time visitors spend on your site, the more likely they are to convert against its goals. Jetpack boasts numerous modules to help improve the performance of WordPress websites. One of the free Jetpack modules provided is Related Posts. This Jetpack tool scans your website’s posts and analyzes them for compatibility. 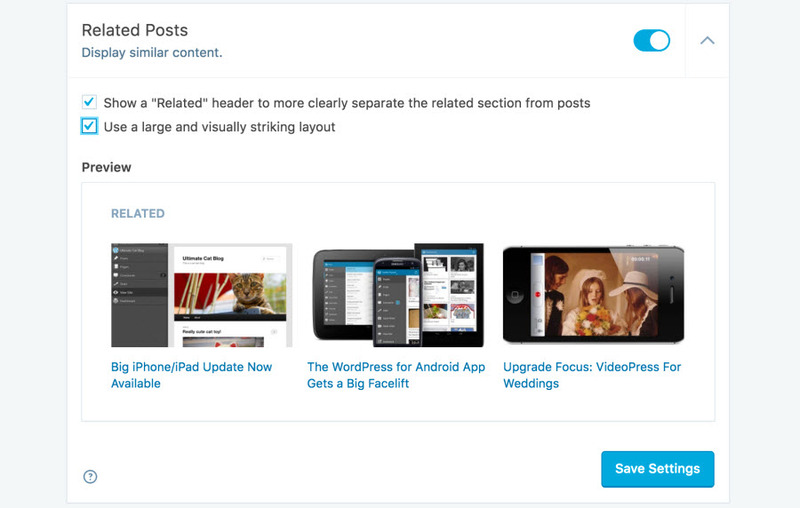 It then displays contextualized posts that your visitors might be interested in reading next. The speed of your website greatly affects its performance. No one likes a slow website, and if your visitors are having to wait for pages, posts, images and other content to load, they won’t hang around for long. So it is essential that you implement strategies to ensure your site retains lightning fast loading times. One easy yet essential way to keep your site’s speed fast is to install a caching plugin. W3 Total Caching is a free WordPress website that will cache your content, resulting in quick access to your static posts and pages for your audience. This advanced plugin is another must-have, as it will help to improve your site’s performance, user experience, and positioning in the search engines. Security should be a top priority for all website owners. But it can often be pushed repeatedly to the bottom of the ‘to-do’ list. Installing a security plugin will take care of the majority of security problems for you. iThemesSecurity Pro is a popular and well trusted WordPress security plugin. This premium solution will keep your website secure and protected, using a range of up-to-date technologies. This professional security plugin will help identify and fix problems, keeping your website’s performance at its optimal level. Installing a backup plugin is equally as important as ensuring your website is protected with a top-quality security plugin. There are no 100% guarantees with online security, so if your website is hacked you could lose everything. A backup plugin can ensure your site is restored and up and running in no time at all. Updraft Plus is a powerful plugin that will automatically backup your site on a recurring schedule. Backup to the storage location of your choice, then quickly and easily restore your site with a few clicks of a button. And did I mention that this plugin is free?! Analyzing your WordPress website’s analytics will help you understand how your site is performing and what you need to improve. Google Analytics will track your website’s data and present it in readable and understandable charts and tables. However, to access this information you will need to log in to the Google Analytics website. Google Analytics Dashboard for WP is an extremely helpful plugin. It displays key statistics about the performance of your site within your WordPress dashboard. This means you can keep a constant eye on your site’s analytics without having to waste time logging in to Google Analytics. All of the solutions mentioned in this article are essential plugins for enhancing your WordPress website. If you want a successful site, that really stands out from the competition and converts against its goals, then you should consider installing these tools today. That’s a great stuff on wordpress plugins, most of the plugins I don’t aware about. Today I know how to enhance WordPress blog with few plugins. Thaks for providing such type of plugins for newbie WordPress blogger. Thanks for commenting Alok and glad you found it useful! Thanks for the post. I was searching for proper plugins for my blog and got this article. Very helpful. Thanks! Nicely written Megan and indeed of the most essential plugins. The backing up plugin is most important to make sure that if anything goes wrong, there will be a solution (that saved me many times from excessive work). Perhaps Broken Link Checker can also be a useful recommendation to help in avoid loosing rank because of external sites linking. Wonderful collection Megan! Thanks for sharing this amazing post. You can try one more WP Plugin related to security which is known as User Activity Log pro. It helps you to monitor and keep track of all the activities occurs on the admin side. Also, it informs you about WordPress core updates, Post updates, User activities etc. Pls what’s the function of w3cache. cant get it. I absolutely agree with you as per the importance of these plugins for any WordPress website. Page Builder is a great enhancement for any website. Thanks for writing this great article!